Colombia’s chief prosecutor said Thursday that he will investigate three recently elected congressmen on election fraud charges. One of the politicians who allegedly paid money for votes, Senator-elect Aida Merlano of the Conservative Party, is already in jail after investigators found guns and cash in her campaign office after the March 11 legislative elections. Merlano belongs to the Gerlein clan of Senator Roberto — who is set to leave congress in Congress after 50 years — and his businessman brother Julio. who is also investigated on election fraud charges. One of the most extremist “Uribistas,” Senator-elect Maria Fernanda Cabal, allegedly received votes after Bogota‘s Social Integration Secretary allegedly threatened to lay off anyone who wouldn’t vote for her. If the allegedly corrupt congressmen are arrested, the majority of the coalition of President-elect Ivan Duque would be reduced as by law the seats must remain vacant in the event of criminal investigations. According to Prosecutor General Nestor Humberto Martinez, more than 2,000 community leaders were paid to seek the fraudulent election of lawmakers for the coming four years. 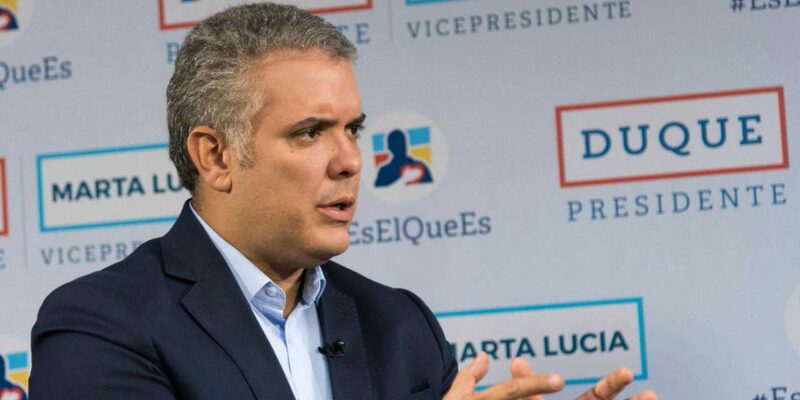 While the investigations are causing shock waves in the capital Bogota, Martinez ignored much larger fraud claims that surged ahead of the March 11 vote. The chief prosecutor, like electoral authorities, ignored the claim of renowned think tank Fundacion y Paz that said that “between 10% and 20%” of congressmen could have been elected through fraud. Multiple anti-corruption candidates took part in presidential elections in May. Independent election observers decried the lack of transparency on behalf of electoral authorities to verify the possible falsification of voter forms of the legislative and presidential elections. According to pollsters, Colombians perceive Congress as their country’s most corrupt public institution. A referendum will be held in August. If approved, Congress would be obligated to adopt measures that would curb corruption.